Calorie consumption and exercise are the main factors in weight management. 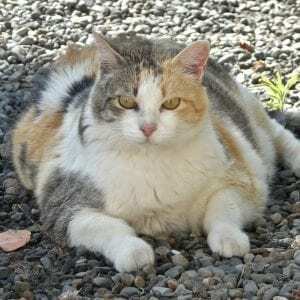 Obesity in cats can cause serious health issues so as cat lovers it is our duty to help our cats lose that extra weight. Exercise for your cat means getting your cat moving as much as possible to burn those extra calories and one of the best ways to get your cat moving is by finding some of the best cat toys for overweight cats. Find out if your cat is overweight with our article (is your cat overweight). In this article, we give you the information, and resources to help you determine your cat’s current condition. Today, we will be showing you toys that exercise your cat in a fun, and playful way. Cat toys for overweight cats need to get your cat running to be the best at helping your cat lose weight. When looking for the perfect toy, consider how much exercise your cat will be getting by using the toy. If you purchase a toy and the cat is able to play with the toy while lying around then you will not have achieved the main purpose for purchasing the toy. Sure they will probably still enjoy it. However, your main goal is to not only to find a toy they love, but one that will get them moving. Your cat won’t burn the calories just lying around. A great way to do this is by getting toys that trigger hunting instincts. You need to get them running around, chasing stuff, and hunting just similar to when they had to fend for themselves. Another great option to exercise your cat is to take it for walks. In order to do this you will need to find a great harness for your cat. Check out our recent article where we show you some of the best harnesses to get your cat moving, and walking. It randomly moves the laser around, meaning that your cat won’t get bored predicting where it will go. There are three variable speeds you can choose from, so your cat can enjoy it best. It operates on a 15 minute timer, so you know your cats will be entertained and exercising for a bit. The laser is only ever pointed downwards, meaning your cat won’t be tempted in jumping up on the furniture or knocking anything over in their hunt! While playing, your cats might knock the toy over. It isn’t very heavy (about 9 ounces) so it can’t hurt anything, but it might be best to put it on a small table so it doesn’t get knocked down. The toy isn’t too tall, and the laser only points down, so the area the laser shines can be limiting. Try putting it higher up so your cat has more space to play! This is an awesome toy that’s perfect for entertaining your cats and sure to get them moving! The toy is a tower with a laser pointer on top that moves in a full 360 degrees and randomly moves the laser around your floors. There are three speeds available to make sure you keep your cat interested. Also, this exercise toy has a built-in timer that will automatically turn off after 15 minutes to make sure your furry friend won’t get tired of it. 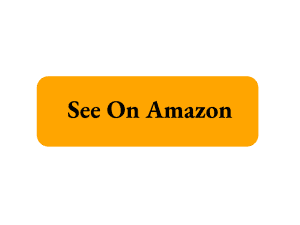 The Pawesome laser toy is great at getting overweight cats moving around, and is also one of the best overall toys for any cat overweight or not. With nine (9) included teasers, you won’t have to worry about getting more replacements anytime soon. The wands are lightweight so you can keep playing. The set includes five (5) feather toys and four (4) furry snakes are sure to keep your cat pouncing all day. One of the best toy options for overweight cats is toys that they can chase that are being moved by you. This type of cat toy is available in every shape and size, but you can’t beat the quality and price on this set! It comes with two retractable wands that resemble fishing rods. When extended, the wands are 38in long with a 24in string. Now you don’t have to worry about being in the danger zone when you’re playing with your furry friend! In addition, the nine included teasers have built-in loops which the string clips onto, so you don’t have to hassle with changing attachments. This is one of the best cat toys to encourage your overweight cat to move and jump around, because your playing with them. This three-pronged tunnel offers endless entertainment for your cat. Cats have a natural drive to explore and sneak, and this tunnel gives them the perfect place. The tunnel is made out of a polyester material that helps prevent rips, even against kitty claws. The frame is made out of steel and is engineered to be collapsible and lightweight. In our opinion, this cat toy is the best tunnel type cat toy for overweight cats around. This balls on this toys are at three levels are brightly colored and both spin and roll which encourages your cat’s natural instinct to pounce and play. This toy is perfect for multiple cats in the household due to the multiple levels and non skid pads on the bottom. Even though your is not moving around as much as other toys, it is still a very fun option, and is one of the best cat toys overweight cats.